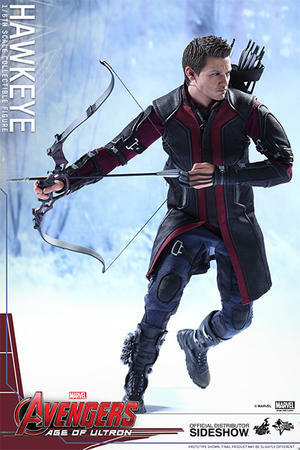 The release of Marvel's Avengers: Age of Ultron has fans pumped to see the Earth's mightiest heroes assembling again to save the world from the menacing artificial intelligence, Ultron! 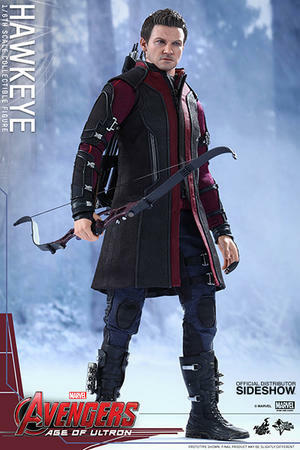 Following the reveal of Black Widow, Sideshow Collectibles and Hot Toys are thrilled to present the widely-anticipated Hawkeye Sixth Scale Collectible Figure! 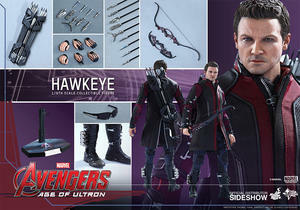 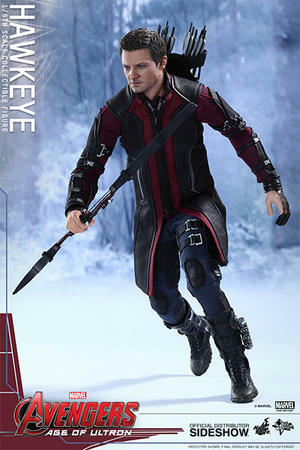 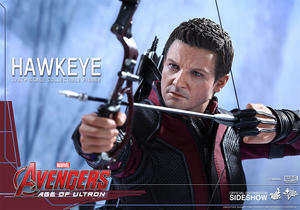 The movie-accurate Hawkeye Collectible Figure is specially crafted based on the image of Jeremy Renner as Hawkeye in Avengers: Age of Ultron, and features a newly developed head sculpt, new outfit, improved articulation for action poses, a freshly designed bow and arrows, as well as a specially designed figure stand.